News reports discussed two avenues of investigation being pursued regarding Donald Trump. One of them, his business ties, appears to be of value. The other is of more questionable value–fake news on Facebook. Mr. Manafort, a Republican political consultant, spent years working for a pro-Russia party in Ukraine. He served as Mr. Trump’s presidential campaign manager for roughly three months in 2016 before resigning. New York Attorney General Eric Schneiderman and Manhattan District Attorney Cyrus Vance Jr. also are investigating Mr. Manafort’s real-estate transactions, The Wall Street Journal has reported, with both offices examining his dealings for possible money-laundering and fraud. Messrs. Schneiderman and Vance are Democrats. Mr. Manafort has spent and borrowed tens of millions of dollars in connection with properties in the U.S. over the past decade, including a Brooklyn, N.Y., townhouse and California properties being developed by his son-in-law, the Journal has reported. 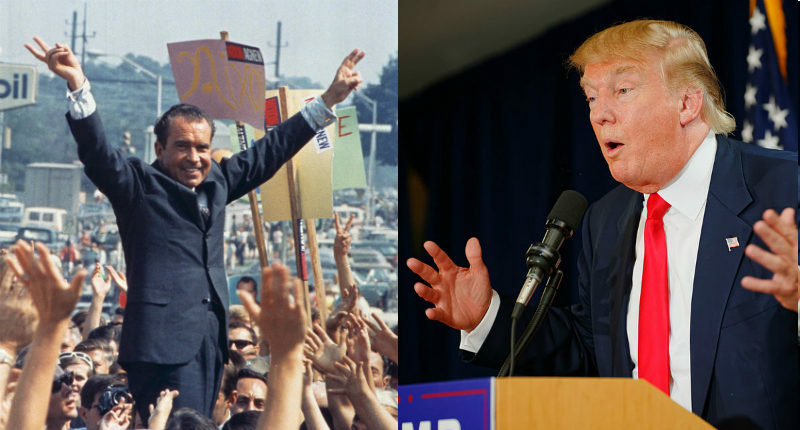 The nature of the investigation, along with the contempt for law enforcement expressed by Donald Trump in an interview with The New York Times, has many predicting that Trump will wind up firing Robert Mueller in a scenario reminiscent of Richard Nixon’s Saturday Night Massacre. Periodically I receive comments that such criticism of Trump comes from out of touch left wingers, so I will note that the conservative National Review also predicts, Yeah, Trump Is Probably Going to Fire Robert Mueller. At the core of Warner’s questioning is a theory among Democratic operatives and former top-level Clinton campaign staff that Russia had help from domestic political operatives to micro-target fake news articles. No evidence has been uncovered to prove that theory. Last month, Senate intelligence staff interviewed Brett Horvath, a social media technology expert who argues it’s possible that Russian operatives got political data that could then be used for successfully micro-targeting swing voters on Facebook. “Facebook has all the data that could prove this is happening or not happening, that’s the starting point,” Horvath, a veteran Democratic political operative, told CNN. There certainly was fake news spread during the campaign, as there also was against Barack Obama and John Kerry in their presidential campaigns. Only the Clinton campaign has gone so far as to blame Russia for this, with reporters covering the campaign to write the book Shattered reporting that Clinton developed the strategy of blaming Russia and others for her loss within twenty-four hours of losing, failing to take responsibility for her own mistakes. Whether or not the fake stories being spread came from Russia, they did far less harm to Clinton than the damage caused by her violation of State Department rules (as verified by the State Department Inspector General), and then repeatedly being caught lying about the matter. The truth was far more damaging than fiction. The questionable business ties involving Donald Trump and others in his family and campaign appears to be worth investigating, but I bet it will be a mistake to divert resources from the more important issues to pursue partisan fantasies. If Democrats rely upon such weak attacks they risk allowing the Republicans to survive the actual Trump scandals.